Starting an affiliate site is tougher than it sounds. It’s a chicken or the egg situation – you need good affiliate programs to generate revenue and credibility within a network like Commission Junction, Linkshare and Impact Radius, but you can’t get approved for programs because you don’t have any credibility. So, what do you do? I started by signing up for FMTC and for Skimlinks. FMTC is my data feed partner, which ensures that I have current deals on my site, and Skimlinks essentially allows me to get commission from affiliate programs that I’m not yet approved for. It’s also a great work around to get commission from programs that don’t tend to approve coupon sites. What’s even better is that FMTC is seamlessly integrated with Skimlinks, so once I’m approved for a program, my links will change over without me having to do any manual work. But what do you do if you’re not running a coupon site? 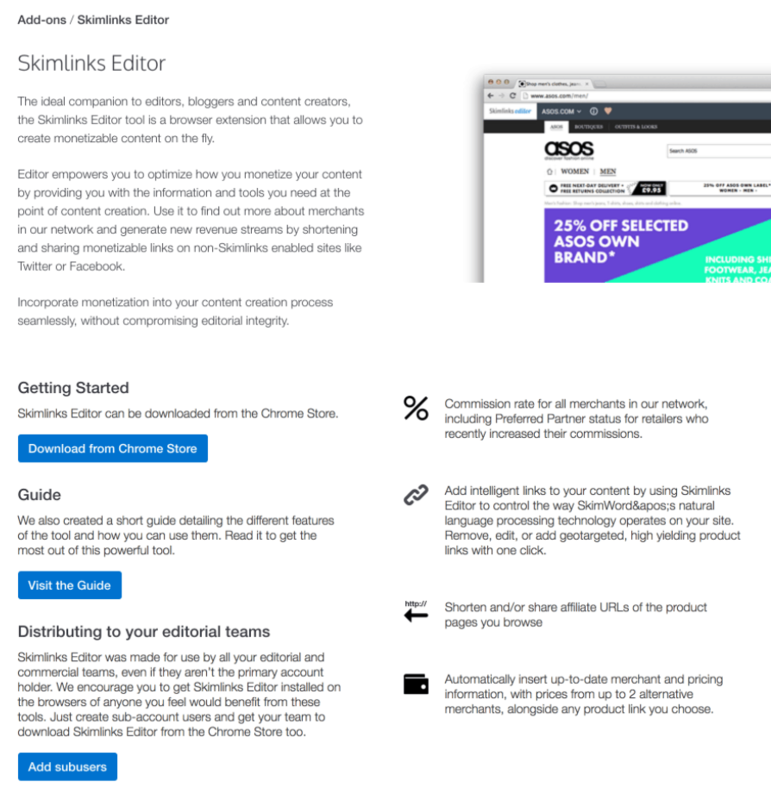 Skimlinks is still an amazing solution for monetizing your blog or website! Skimlinks has some competitors like Viglink, but the FMTC integration has earned my loyalty so far. 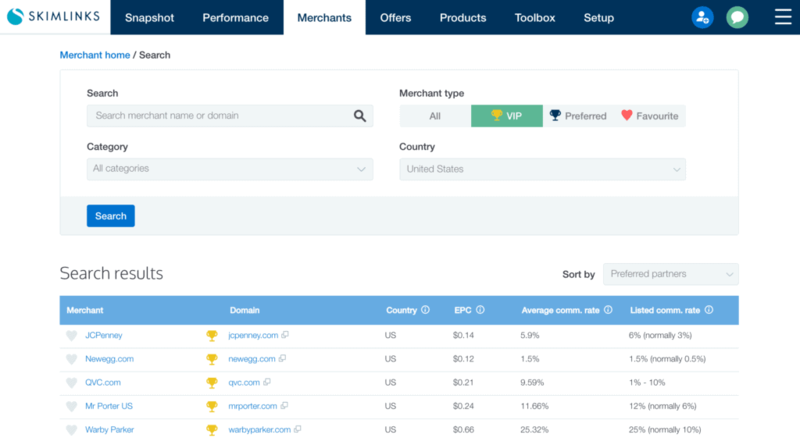 (Update: You can read our Viglink Review here) It’s also a nice way to aggregate your commissions in one place rather than having small commissions in a ton of different affiliate platforms like Shareasale, Affiliate Window and others. When you’re starting out, you may not make the threshold to get a payment, so this is a good way to start some cash flow as you ramp up. As you gain your credibility with the networks, you can consider moving away from Skimlinks since they take a share of your commission (about 25%), but they’ve also negotiated higher rates with some merchants so you essentially stay whole. You can check their merchant area to see which merchants are preferred and have a higher negotiated rate (they call these Preferred Partners). In some cases, the Skimlinks rate is higher than what a merchant offers you as a small website, so I’ve actually declined invitations in the past as a way to make more money (this happened recently where I could make several % of commission on a program via Skimlinks and the partner had only offered me 0.5%!). 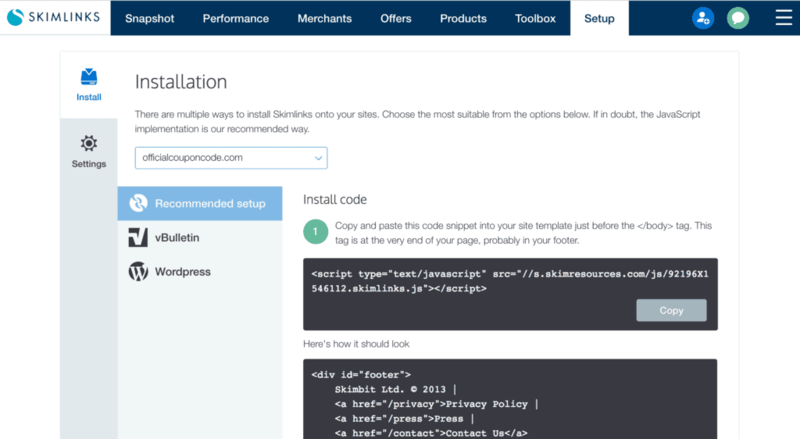 Skimlinks has also introduced APIs if you’re more technically inclined, as well as a suite of products like an Amazon & eBay search box, Amazon overwrite (if you want to run that program through Skimlinks) and product showcases which look a bit like Amazon’s native ads. One thing that they don’t actively talk about is that you can work your way up to a larger share of commission once you start driving more volume. A rep reached out to me after I started consistently driving sales and let me in on this secret. It will take a while to work my way up there, but it’s good to know that the option exists. Overall, I’m been very happy with Skimlinks and plan to keep working with them.